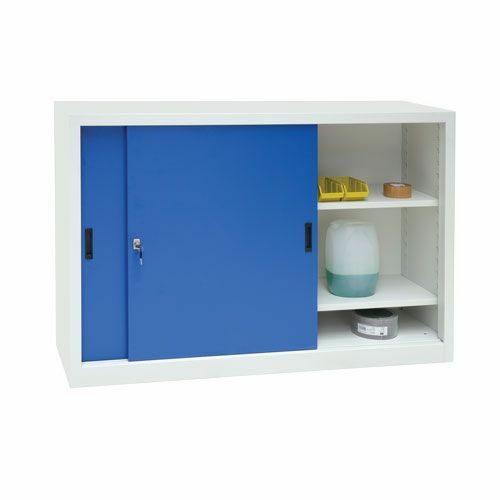 Space saving storage cupboard with blue or grey sliding doors. Hard-wearing steel construction with 125 kg shelf load capacity, perfect for industrial use. Adjustable shelves with 1500 mm width for flexible storage. Ideal for environments with limited space. Wide robust steel cabinet with adjustable shelves and 1500 mm width.